As September gets closer, I get more and more excited for fall. Beyond apples, changing leaves and cooler weather, it is also really the start of snowboard season. In September there are video premieres, new products start shipping and pre-season contests are in full swing. What does that have to do with desserts? Absolutely nothing, except that I have multiple reasons to look forward to September that aren’t just dessert related. Fall is my favorite season, although fall on the west coast is so different from the east coast. But one thing is the same; fall means apple season. I recently heard about a contest hosted by one of my favorite bloggers, Ashton from Something Swanky. She teamed up with Lucky Leaf for recipe contest featuring their pie filling. 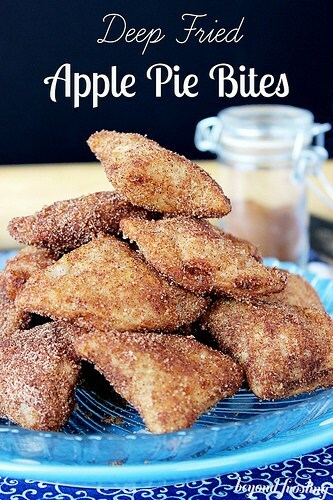 I love pie, and I love small sized desserts, so I decided to create bite-sized Deep Fried Apple Pies. 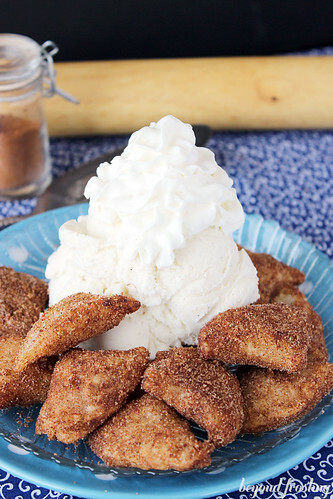 These mini “dumplings” are a pie crust, filled with apple pie filling, deep fried and rolled in cinnamon sugar. Oh my gosh are these delicious. They are packed with some of my favorite flavors including maple and cinnamon. I always add a little maple syrup to my recipes. 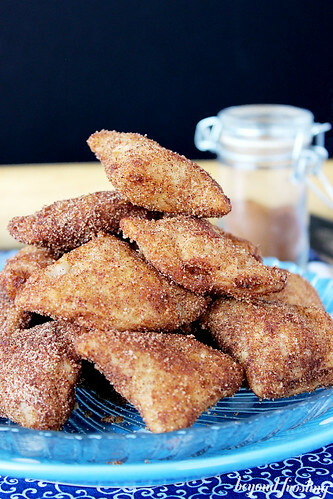 I used a deep fryer to make these, but you can easily cook these on the stove. This recipe is so easy because you can use prepared pie crust and Lucky Leaf’s apple pie filling. Preheat oil in a large pot over medium heat. Oil should reach temperatures between 350°-375° F. It is best to use a candy thermometer. While oil is heating, prepare the dumplings. Preheat pie filling on stovetop over medium heat until warm. Combine with maple syrup and cinnamon. Remove from heat and set aside. Remove pie crust from packaging. Roll out slightly to help thin it out. First, cut circles, at least 3.25” in diameter and then cut circles in half. Once I ran out of crust, I combined the leftovers and re-rolled the crust to cut more circles. Take one half of the circle and spoon some pie filling into the middle. Use your fingers to pinch the edges to seal. It will be helpful if you have a spoon or butter knife to help keep these stuffed as you are pinching the edges. Use extreme caution for next step. Oil will be very hot. When the oil is heated, carefully place several pie bites in the oil to fry. Use a set of long tongs to turn the pie bites over and the first side begins to turn light brown (about 30 seconds per side). After each side is browned, use tongs to remove from oil and place on a plate lined with paper towels to cool. When all bites are finished, prepare the coating. In a microwave safe bowl, melt butter, about 20-30 seconds. In a large Ziploc bag, combine cinnamon and sugar. Add additional cinnamon if desired. Brush each side of the pie bites with butter using a pastry brush. Place into Ziploc bag and seal the bag. Gently shake the bag until pie bites are coated with cinnamon and sugar. Remove from bag and serve. Allow oil to cool completely before cleaning your deep fryer. 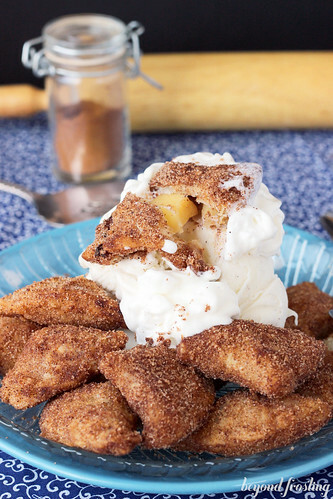 These Deep Fried Apple Pie bites are best served warm with vanilla ice cream and or whipped cream. Eat them with a spoon or with your fingers. I recommend eating them soon after frying. 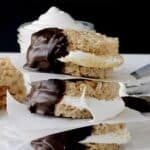 If you don’t need as many bites, you can use only one of pie crusts instead of two for this recipe. These are so crazy addicting. Thanks Ashton and Lucky Leaf for hosting this fun contest! This post is linked up at Marvelous Mondays, Tuesday Talent Show and Time to Sparkle. 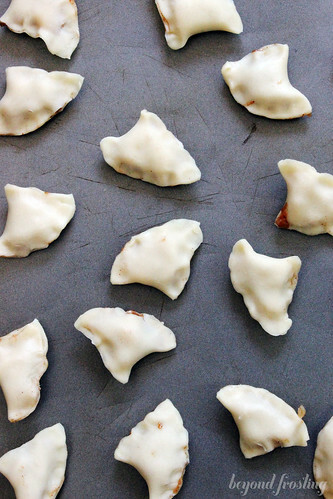 I loved these so much I want to make a batch for Thanksgiving. Could you prep them a day ahead of time and then do the frying the next day? Sorry Mindy, I missed this comment. I think so as long as your dough stays attached. This was delicious. Apples were on sale so I made my own filling and used store bought crust. 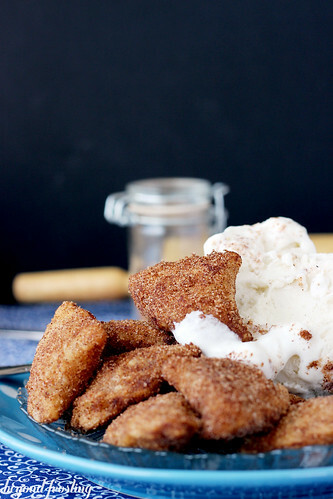 I skipped the butter brushing step before the cinnamon sugar and they were still amazing. I will definitely make again. Yaaaaas Mindy! That is awesome! Hi there, I am sorry you didn’t enjoy this recipe. 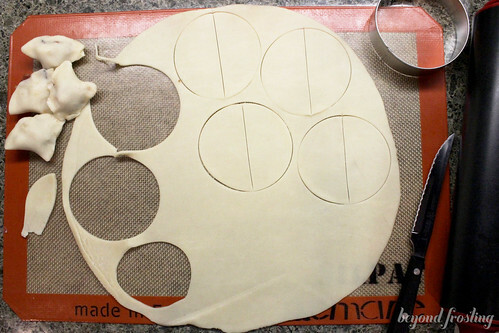 You could certainly make larger pie crust circles. These are meant to be bite-sized so you would need to chop the apple pieces pretty small. Could you use puff pastry for the crust? That looks really delicious! I love me some deep fried dessert. 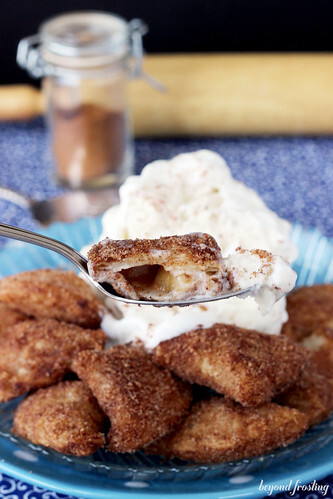 You had me at deep-fried and apple pie! I’m going to give this recipe a try for sure. Thank you.